SECOND ROUND and FINALS: May 23-26 in Chicago (Click for Details). 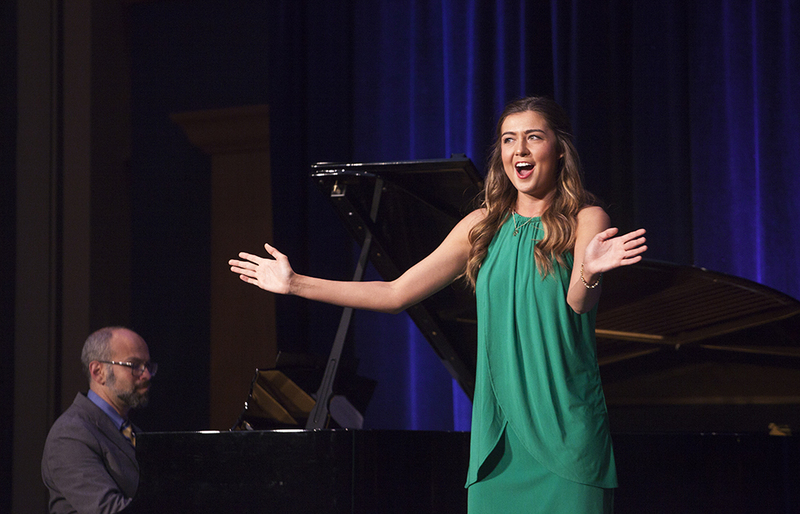 Submit an Online Video Audition or sing at a Live Audition Location. CS judges review your video and give you written feedback and an overall score. 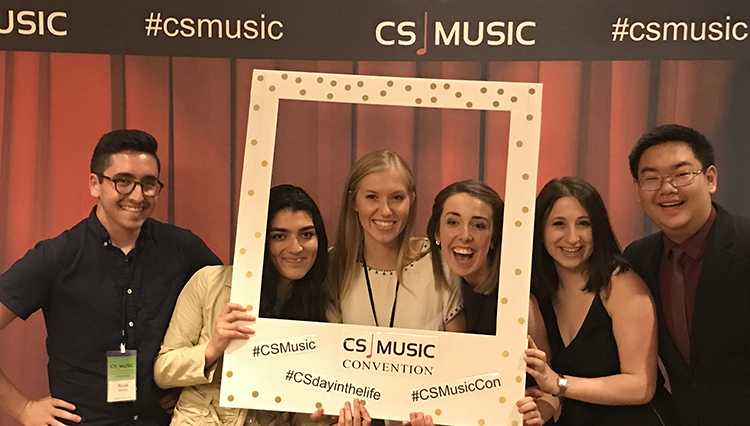 All qualified singers advance to the Second Round in Chicago, May 23-26 at the CS Music Convention. May 23-26, 2019 at the Sheraton Grand Chicago at the CS Music Convention. Discounted hotel rooms are available (click to find more details). There are no additional registration fees, but participants are responsible for hotel, travel, and food. Second Round scheduled times will be assigned to participants beginning May 1. For the First Round, singers only need ONE song selection prepared. For the Second Round, singers will need TWO contrasting song selections. Each singer will perform one selection of his or her choice in its entirety. An accompanist will be provided but singers can bring their own. There is no time to practice with the accompanist beforehand. Selections must be performed with piano accompaniment only. Original music is not required. If using copies, please put your music into a 3-ring binder with anti-glare sheet protectors for the accompanist. Please no bound books. Singers should have all repertoire memorized. Each singer will record ONE selection of his or her choice it its entirety. Upload your recording to YouTube and post as Public or Unlisted. Within your CS Music applications page, paste the URL of your YouTube selection and Submit. Judges will give a scored evaluation and and written feedback. Participants will be notified via email when results are available. Wear daytime audition attire; no formal wear. Check in at the registration desk at least 20 minutes prior to your scheduled competition time. (Times will be assigned and emailed out to participants approximately 1-2 weeks before the competition date. Check your competition application for times and locations: www.csmusic.net/applications. The on-site representative will direct singers to the warm-up rooms. Warm-up rooms may or may not have an available piano, depending upon the host school. Stand outside the performance room until the on-site representative directs entrance. The singer will have a brief moment to go over the selection with the provided accompanist. When the singer is ready to perform, he or she should introduce themselves by giving their full name and the title of the selection. The singer will present the selection in its entirety. Unless the host school otherwise specifies, the First Round is an open competition. However, space might be limited depending upon the size of each performance room. 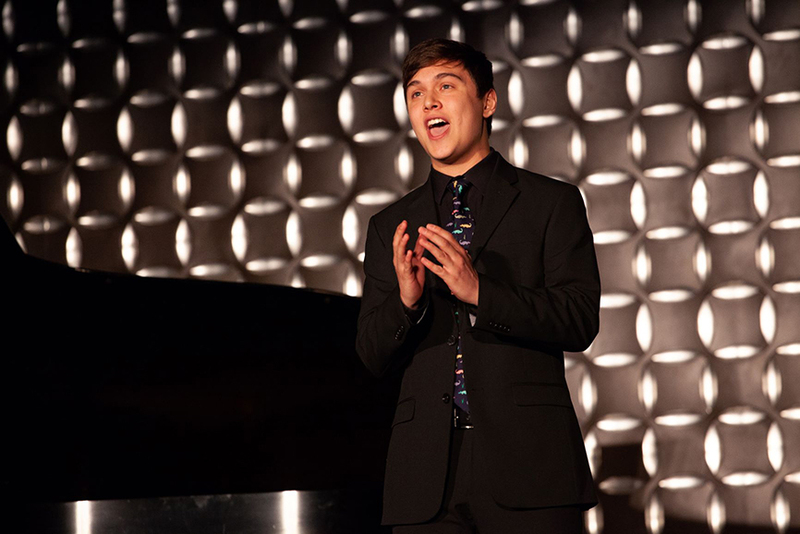 Singers should choose art songs or arias at a level appropriate to their vocal development. One selection in its entirety is required for the First Round – both Live Auditions and Online Auditions. Two contrasting song selections are required for the Second Round in Chicago. Selections can come from Broadway, off-Broadway, and revival shows. Both mix/belt and legit style singing are accepted and judged equally. 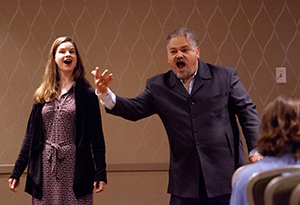 Singers should be able to demonstrate strong acting abilities as appropriate to the literature. More than $3,200,000 of university and summer program scholarships will be offered to Competition participants. Any singer who advances from the First Round is eligible to win a scholarship. Scholarships are given completely at the discretion of the school offering it. The majority of the scholarships will go to juniors or sophomores as most seniors have already committed to a specific school. $15,000 in cash prizes will also be given to the national winners at the Grand Finale Concert.